There appears to be a legitimate reason for so many past-their-prime celebrities appearing on reality TV–and it’s not just to raise their profile or to gain a little publicity. Several celebs clamor to reality shows for one simple reason: money. Several of the contestants on this season’s “Celebrity Apprentice,” for example, have serious tax issues with the federal and/or state government. The Detroit News compiled a list of “Celebrity Apprentice” cast members who owe Uncle Sam, and Star Jones ($356,991), LaToya Jackson ($28,252 in Nevada), Gary Busey ($645,382 in California), Dionne Warwick ($2.2 mil in California) and Jose Canseco ($320,000 in California) are all mentioned for owing back taxes. 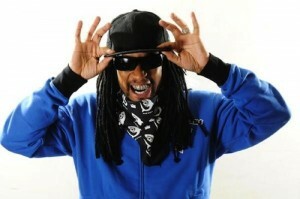 Rapper Lil Jon faces a $638,937 lien the IRS filed against him in South Carolina back in 2008.